Youtube/McKinney ISD MediaLarissa Martinez, valedictorian of McKinney Boyd High School’s class of 2016. Larissa Martinez just graduated at the top of her high school class. She’s headed to Yale University in the fall. She also just told an auditorium full of people that she’s an undocumented immigrant. 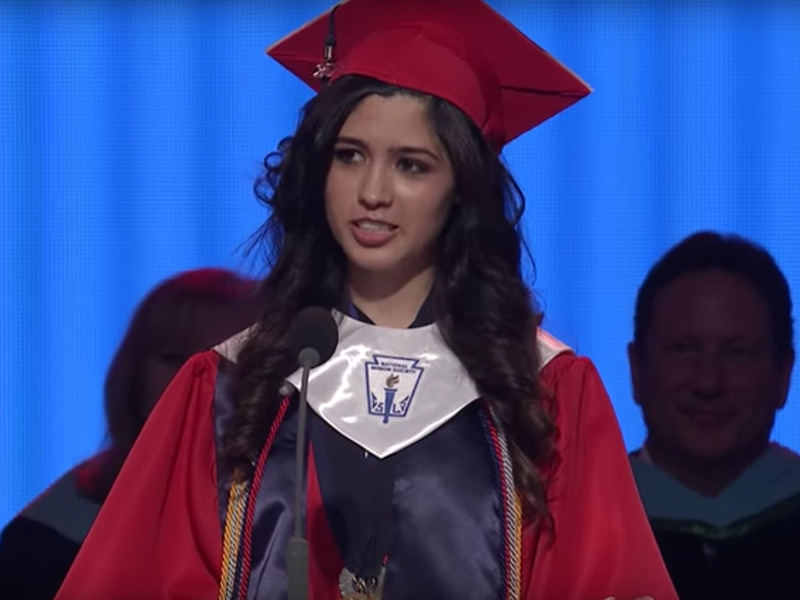 Martinez divulged her undocumented status in her valedictorian speech given on June 3 at the graduation ceremony for McKinney Boyd High School in McKinney, Texas — and she used the big reveal to deliver a profound message to her fellow graduates. She went on to tell the story of her immigration to the U.S. from Mexico nearly six years ago. She and her mother made the move to escape Martinez’s father, who she said was abusive. Once she arrived in Texas, she struggled to assimilate and often found her intelligence questioned because of her heritage. She also encountered difficulty with the broken U.S. immigration system: Martinez said she has been waiting seven years for her legal residency application to even be processed.